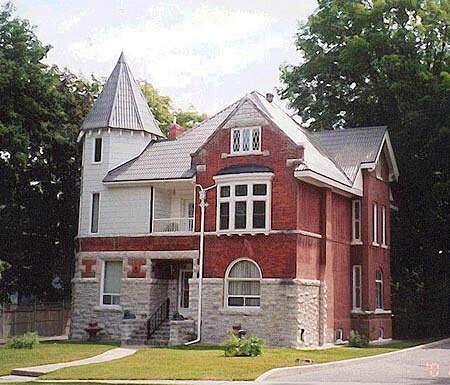 Ontario Christian Retreat Centers is a list of some Christian retreats in Ontario provided by Christian counsellor: George Hartwell. Just to be clear, these retreat centers are not directly affiliated with or endorsed by George Hartwell or Agape Christian counselling or Life Transformation Retreats. I becamse interested because of the intensive therapeutic marriage counselling and intensive therapeutic individual therapy that I do. My original vision was to do this intensive Christian therapy away form my office at a retreat center. To save costs and avoid the complex arrangments of doing this most of my intensive Christian marriage retreats or an intensive Christian individual therapeutic retreat is done at my Mississauga office. To be included e-mail George your information and explain what services you provide that qualify you as a Christian retreat centre. Bethesda Renewal Centre, 20 minutes west of Ottawa, provides a Christian place of renewal where one is restored in body, soul and spirit through the power of our Lord Jesus Christ and the beauty of God's creation. Bethesda offers warm hospitality to groups and individuals interested in taking time apart to nurture their relationship with God and with each other. Bethesda offers a large cozy living-room/meeting room with fireplace and piano that comfortably seats 20 people, a fully equipped kitchen, LCD wall mounted display with HDMI and VGA connections to your laptop, Blueray DVD player, Wi-Fi Network, Sleeping accommodations for 19 (one double bed  if couple sharing accommodation 20), three bathrooms, outside are 80 beautiful acres complete with peaceful nature trails, a chapel and a prayer chalet for solitude and meditation. Bethesda is open during the week for private  individual retreats. Please let us know how we can help you enjoy your stay with us. Groups typically bring their own food for the weekend. You have your own fridge and the kitchen is fully equipped. No need to bring dishes, pots or pans. There are two stoves, microwave, and dishwasher  and lots of counter space! Crieff Hills is a Christian Retreat & Conference Centre located on 250 acres of beautiful woodlands and rolling fields, that offers year around accommodation, Seminar/conference facilities for groups up to 125 as well as personal and group retreats. Owned and operated by The Presbyterian Church in Canada. shed the old patterns of living and consolidate a healthy authentic identity. Life Transformation Intensive Retreat facilitator: http://www.HealMyLife.com George Hartwell M.Sc, an Ontario Christian counsellor with 30 years experience, provides Christian marraige intensive retreats (one couple), marriage prayer encounter retreats ( several couples) and individual Life Transformation Retreats (one person) for those who want to use prayer and counselling to resolve inner and emotional issues. Call to book a retreat for yourself. Several retreat centers are used depending on availability. 1 877 854-3990.
community building activities, ecological awareness education, days of reflection and solitude, faith and spiritual development, directed/guided/private retreats. Why not take the opportunity to "come away and find rest for your soul"? Whether you come for a short or extended stay give yourself time in this sacred space to gain some perspective. Marriage Prayer Encounter Weekends http://www.HealMyLife.com George Hartwell M.Sc, Ontario Christian counsellor with 30 years experience, developed marriage couple retreats for 1 to 20 couples called Marriage Prayer Encounter weekends. To facilitate one at your location call Mr. Hartwell at: 1 877 854-3990. Come visit and share in the spirit of Francis of Assisi in the beautiful Caledon Hills. 102 acres of forest, hills, trails and a beautiful pond. Ideal for walking, celebrating, and reflecting, Mount Alverno is to be a place wherein people of all ages might experience the love and peace of Christ in the spirit of St. Francis of Assisi. The building and grounds are consecrated to God for the purpose of supporting Christian faith through prayer and practice. Mount Alverno Retreat Centre serves individuals, youth and adult programs. It has been a gettaway place for youth through schools, church groups, clubs, organizations and communities. Mount Carmel welcomes individuals and groups of all faiths and offers them hospitality and facilities to pursue their own spiritual and/or educational programs. Muskoka Baptist Conference - Mary Lake - Hunstville, Ontario - http://www.mbc.on.ca Nestled in the heart of Ontario's Muskoka region, the conference grounds overlook Mary Lake - a pristine setting for you to rest, relax and recharge. Situated on over 200 acres, MBC has 55 guest accomodations ranging from motel style rooms to family cottages. Many of the rooms overlook the lake. The grounds have a number of trails for hiking, a wonderful beach, a marina, full size gym and much more. During fall, winter, and spring (MBC is not available for retreats from June 30 until after Labour Day) MBC remains open to accommodate numerous types of retreats. Christian healing encounters, leaders retreats, personal retreats, Alpha Groups or congregational events, Singing Waters Ministries is equipped and dedicated to facilitating your group needs. 50 acres of beautiful trails, well kept lawns, flower gardens and lots of space for games and sports are available year round to provide your group with a safe place to relax and have times of fellowship. Much of the bonding between leadership teams or congregational groups occur while relaxing and interacting informally. We have beds for approx 160 people, heated/air conditioned accommodations and 145 acres of property for horseback riding, hiking and many other activities. This list your Christian retreat provided by George Hartwell at Agape christian Counselling, Toronto, Ontario. George provides Christian marriage counselling intensive retreats or personal intensive Christian therapy retreats. Achieve an emotional breakthrough in 8 to 20 sessions at an intensive therapeutic retreat with George.